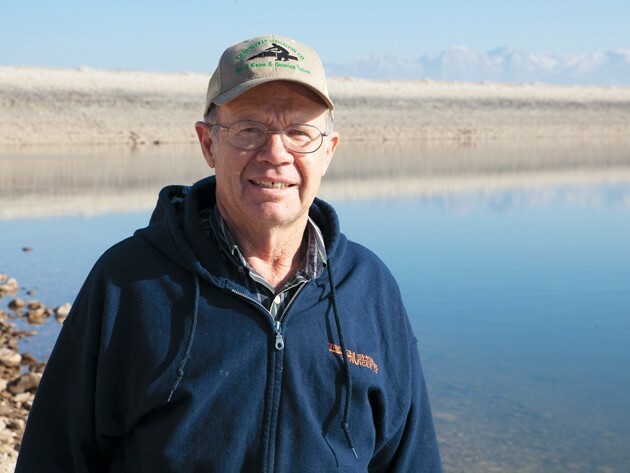 Grantsville Irrigation Company water master Lynn Taylor stands at the banks of the Grantsville Reservoir. Taylor mends an irrigation pipe in a pair of April 2007 file photos. To meet annual water demand, the Grantsville Reservoir must be refilled three times per year. 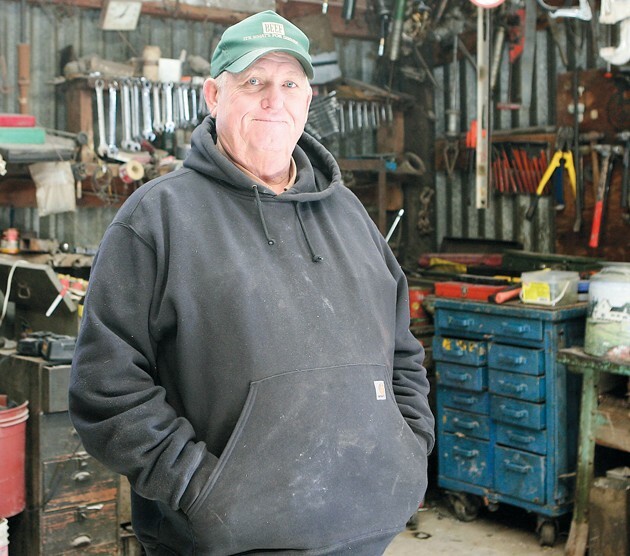 Ernie Matthews stands in his workroom at his Grantsville farm and home. 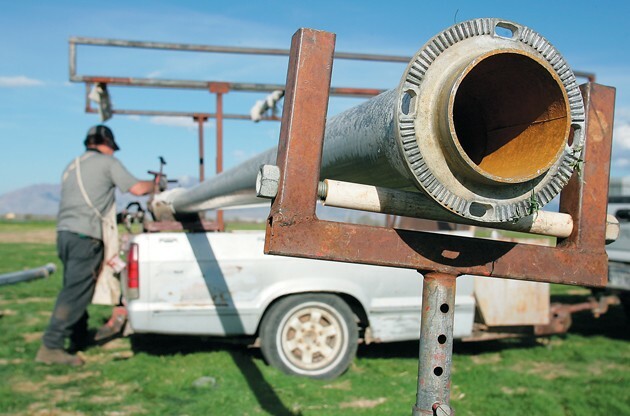 Lynn Taylor, Grantsville Irrigation Company water master, carries a section of irrigation pipe in this April 2007 file photo. The irrigation company was created in 1986 to help regulate the usage of irrigation water in Grantsville. Water is like gold, but as water runs dry, people are left with fool’s gold. 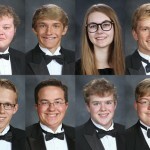 Fortunately for Grantsville residents, they have been surrounded by individuals who were not foolish and prepared a future for the city. 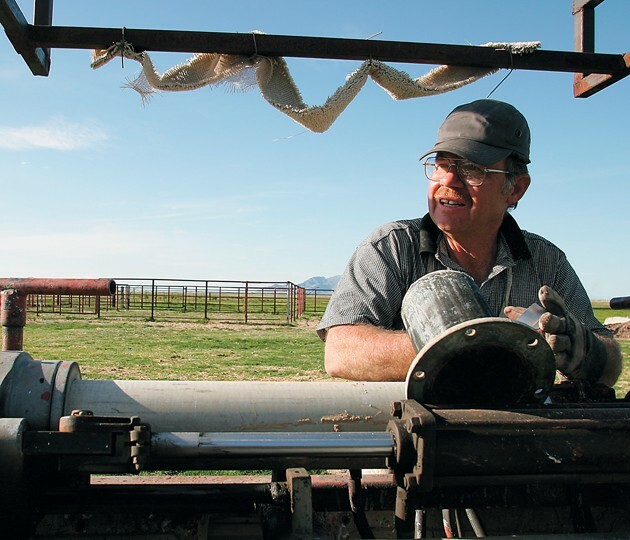 Lynn Taylor, the water master at Grantsville Irrigation, secures the city’s precious commodity. Taylor was born and raised in West Jordan and lived in the town of Copperton. When he and his wife received an opportunity to purchase five acres in Grantsville, they did so. After securing the property, they built their home. Unlike his father, Taylor decided farming was “too much work.” So he worked at drilling wells. In 1986, Grantsville Irrigation was formed to bring together two existing irrigation companies: South Willow and North Willow. When water is not used properly, the “use it” or “lose it” philosophy applies. Grantsville didn’t want to lose any water to the state. 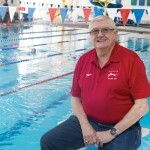 A board of directors was formed, headed by Ernie Matthews as president. “This irrigation project would not have come together without this board and the never tiring efforts of Ernie Matthews,” Taylor said. 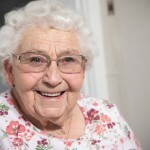 Making a change often is difficult, and the residents of Grantsville were no different from residents of other cities. The original board of directors moved forward and planned the Grantsville Irrigation project to be completed in two phases. Phase one was finished in 1985 and ready for functional use. At the time, Taylor was working for the contractor on phase two. Upon completion, Taylor heard that Grantsville Irrigation was looking for an employee to run the irrigation system. He applied for the position and was hired. However, the board had to agree on one thing: “that everyone was treated equally regarding water shares.” Taylor’s request was granted. 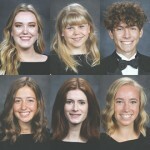 “I was hired because I had no ties to Grantsville,” Taylor said. 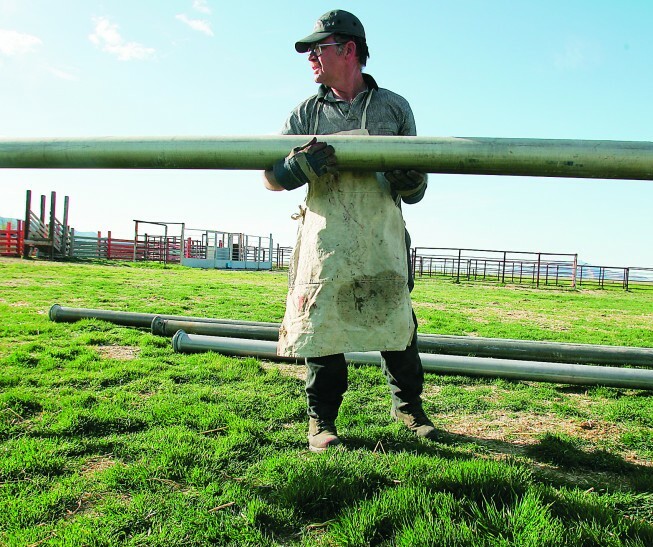 He has been working for Grantsville Irrigation since the spring of 1987. Grantsville was given a provision of 5,000 additional shares; however, that is on paper. Taylor said that without water, those shares are just paper. It takes Taylor two to three weeks to close the system up for the winter. Late-summer storms helped increase the flow from the reservoir into the Grantsville Irrigation system. Grantsville Irrigation has an additional 16-foot well with a 12-inch pump which puts out 1,600 gallons of water per minute. “The individuals that need this water pay for it so that we have the funds for any repairs to the well,” Taylor said. Even in a dry year, Grantsville still has water thanks to monitoring efforts. Grantsville is one of the only cities that has meters not only on the farmers’ water, but residents as well. “This brave new decision has saved our city from drought-like conditions,” Taylor said. Taylor believes Grantsville will continue to grow as developers come into the city. All future development is monitored by Grantsville Irrigation and Grantsville City. “These two entities keep the checks and balances going so our city does not out-grow our water,” Taylor said. One of the greatest hassles Taylor has found is that of “too much pressure.” The Irrigation Company put in eight pressure-reducing stations and has since added four more. The first two years, Taylor dealt with about 200 leaks per summer from excessive pressure. He also checks the flow nozzles three to four times a week. The first year, Taylor met with the board and made the decision to make water available to everybody so they can use it. “The residents pay for what they use,” he said. Taylor added that it has become easier to monitor usage with the addition of computerized programs.